With titles like ‘Elephant Man’, ‘Blue Velvet’, ‘Wild Heart’, ‘Lost Higway’ or the series ‘Twin Peaks’ David Lynch it is a film genre itself. The times that we find ourselves in a somewhat surreal situation we will have released a “It seems a film by David Lynch“. Now the Montana film director has given the music and just released his first album, but his creativity does not stop there and has also agreed to collaborate with the firm Yorker Supreme launching his own collection of shirts and sweatshirts. In them we find from one frame to starring Isabella Rossellini as a Snow White pop art and many of his illustrations. 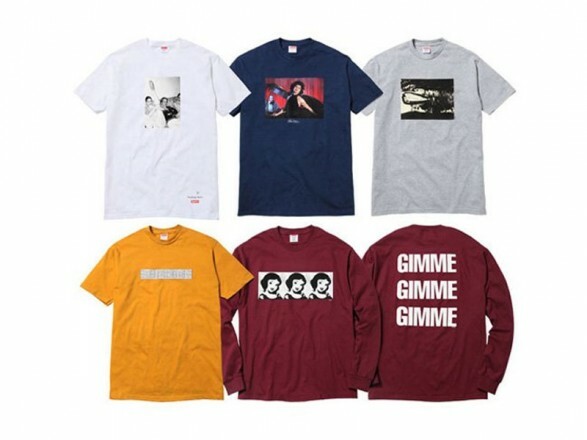 They go on sale Oct. 27 Supreme stores in New York, Los Angeles and London, although you’ll be able to do with them through their online store. Honestly, who are coming from I was expecting something less conventional.